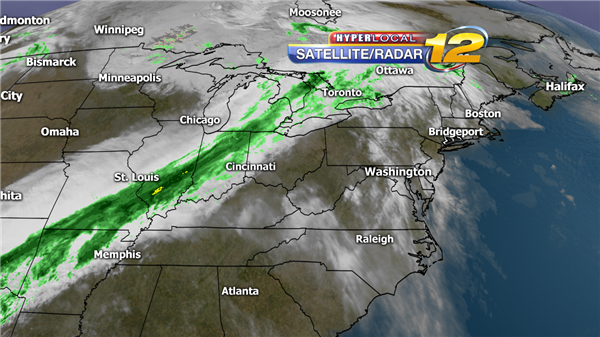 Light rain and colder air is on the way as a cold front rolls across the region. We're even seeing snow mixing in with the rain to our west in the higher elevations. We won't see that but lows will dip below freezing tonight as winds pick up to 30 mph. Bundle up as you head out! 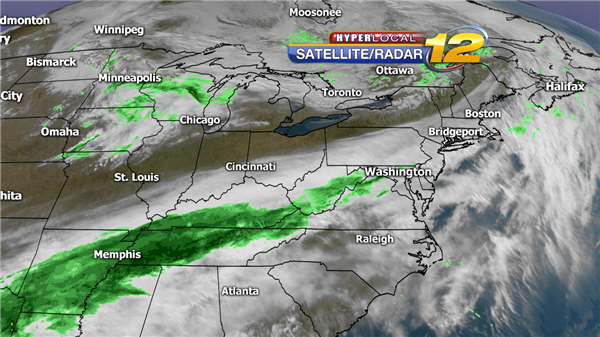 Clouds have rolled in but rain will hold off until early morning as a cold front nears. 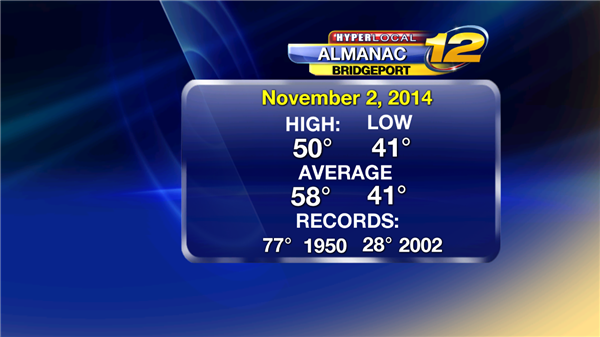 It's still mild with highs well above normal this afternoon. Tonight expect lows near 50. We'll have one more warm and dry day before the rain ahead of the cold front arrives. 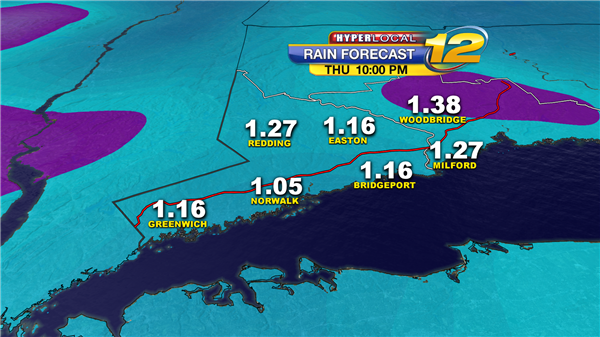 Rain will be off and on most of the day Thursday. 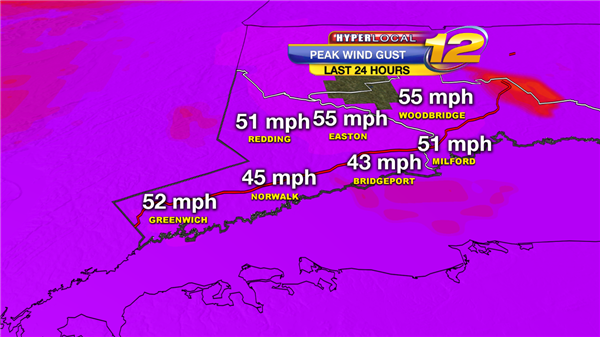 Peak Wind Gust from 43 to 55 mph over the last 24 hours. Overnight lows from the low to mid-30s will feel like the 20s thanks to 10 to 15 mph NW winds with potential gust of 25 mph. A good start to the new work and school week! Temperatures become comfortably cool by mid-week thanks to a southwesterly wind pattern. 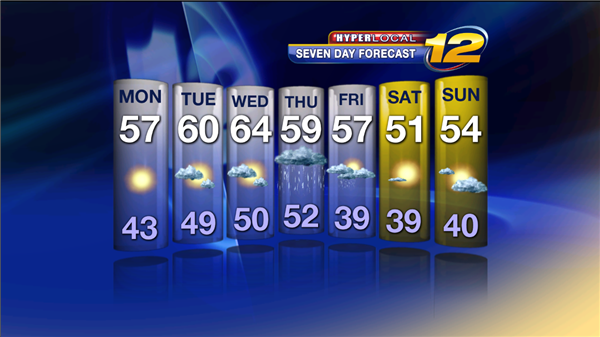 Look for clouds and showers late Wednesday through early Friday followed by drier and cooler weather for the weekend. 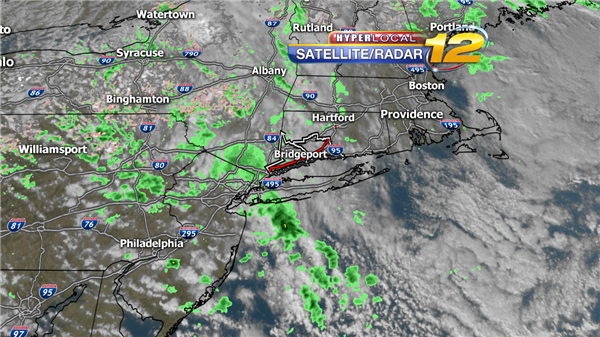 Cool and soggy weather will continue for the next couple of hours. 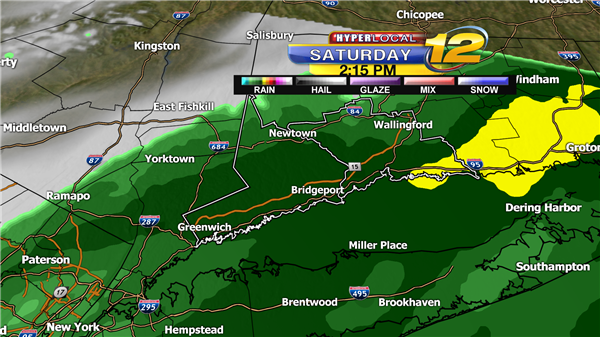 Then the rain will break before the next round of light rain rolls in tomorrow morning. 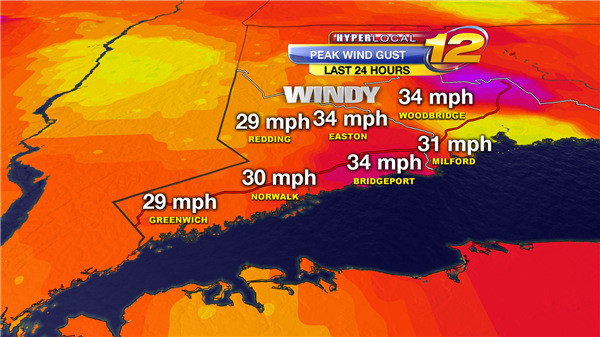 Temperatures will drop as winds pick up. 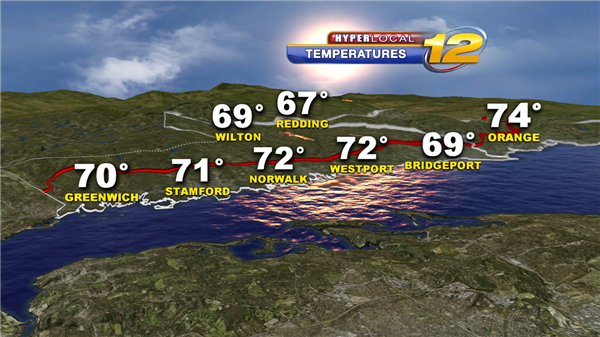 Enjoy what's left of this warm and partly cloudy day! 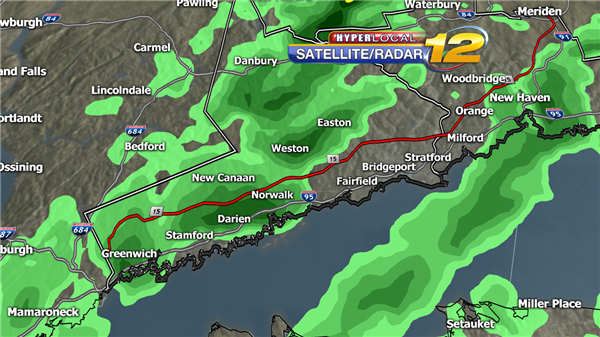 A cold front is rolling closer and out ahead of it is some moderate rain. Temperatures will drop into the 40s late tonight as skies clear. 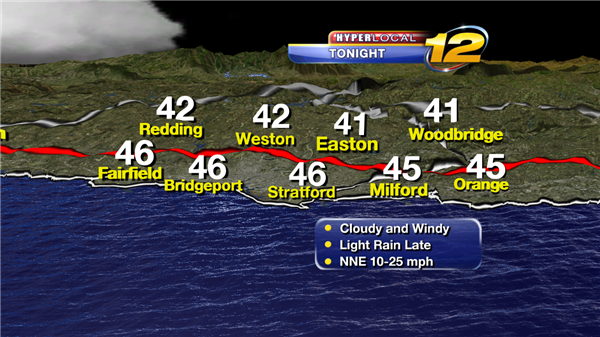 Our gusty westerly winds will relax tonight leaving us with a clearing sky and lows from the low to mid-40s. 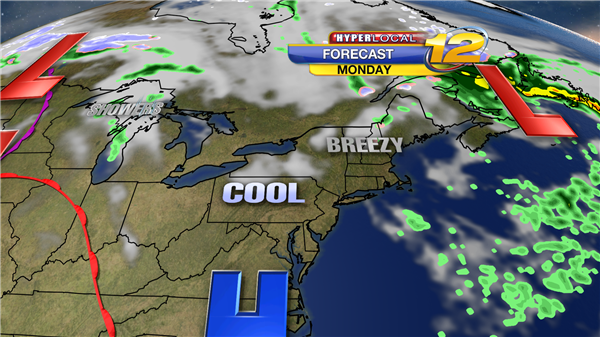 Pleasant weather returns to southwest Connecticut as high pressure brings us fair skies and above average temperatures for the first few days of the new week. Enjoy it while it last, as a steady drop in temperatures is forecasted for the second half of the week into next weekend. 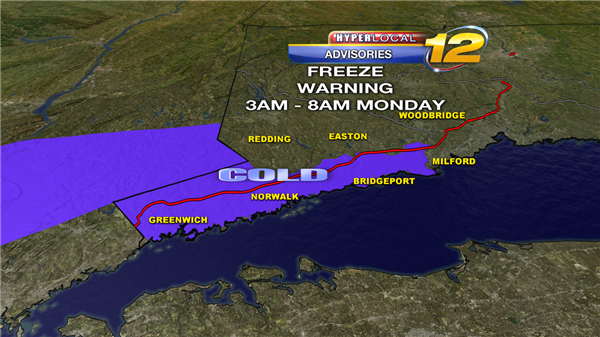 A SMALL CRAFT ADVISORY remains in effect until 6am Monday for long Island Sound. Winds: Northwest from 15 to 20 knots through tonight with Gusts to 25 knots. Seas: 2 to 3 feet. Tonight: Partly cloudy early, turning mostly clear and chilly overnight with lows from the low to mid-40s on northwest winds around 5 mph. 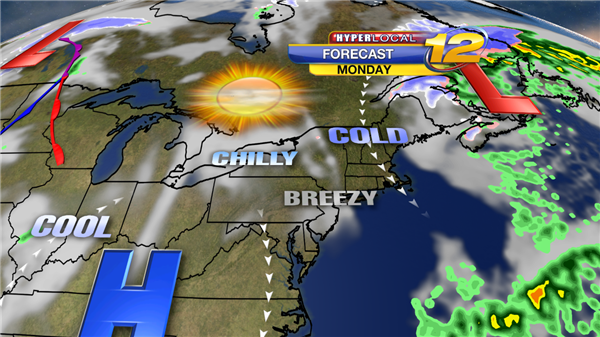 Monday: Mostly sunny and cool with highs from the upper 50s to the low 60s on northwest winds from 5 to 15 mph. Monday Night: Clear to partly cloudy and chilly with lows from the mid to upper 40s on northwest to east winds at 5 mph or less. 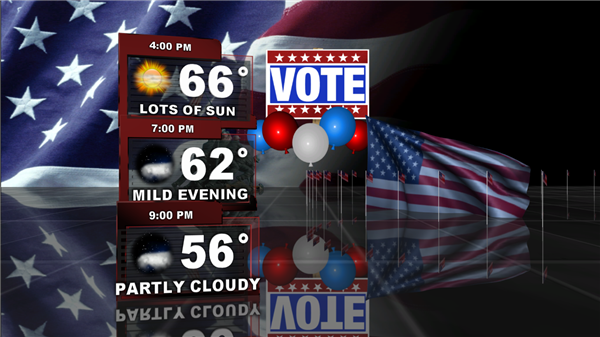 Tuesday: A mix of sun and clouds with highs from the mid to upper 60s on east to southwest winds from 5 to 10 mph. Tuesday Night: Increasing clouds with a slight chance of showers late, lows from the low to mid-50s on southwest winds from 5 to 10 mph. Wednesday: Sun and clouds, breezy with a chance of showers, highs from the low to mid-60s on west-southwest winds from 10 to 15 mph. Wednesday Night: Partly cloudy to clear, breezy and chilly with lows from the low to mid-40s on northwest winds from 10 to 15 mph. High pressure will provide a pleasant start to the work and school week. Above average temperatures will move northeast behind the warm front. Pleasant fall weather is in the forecast for the first half of the week. 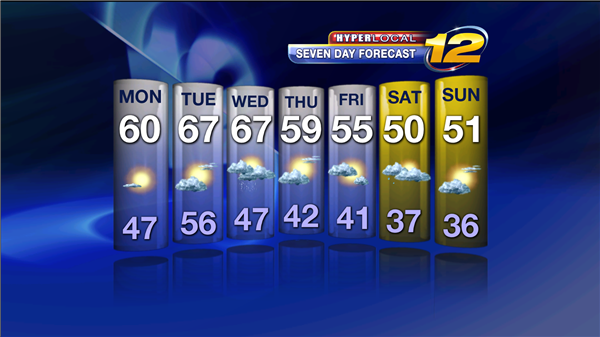 Temperatures will be on the decline from Thursday into next weekend. 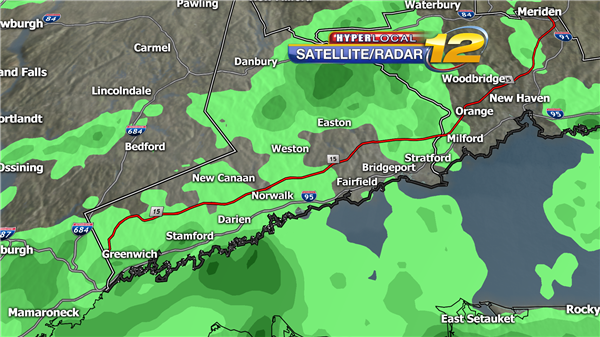 Light rain has returned tonight. 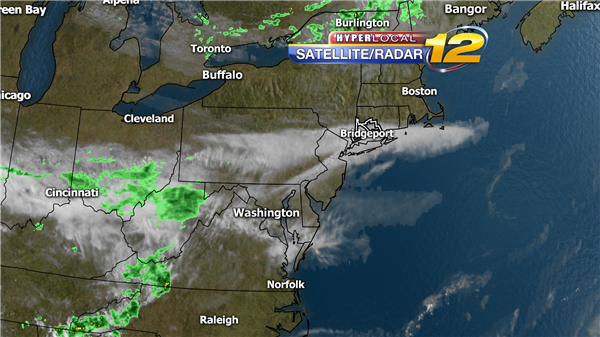 We'll have a chance of showers through tomorrow morning. Highs will reach near 70. 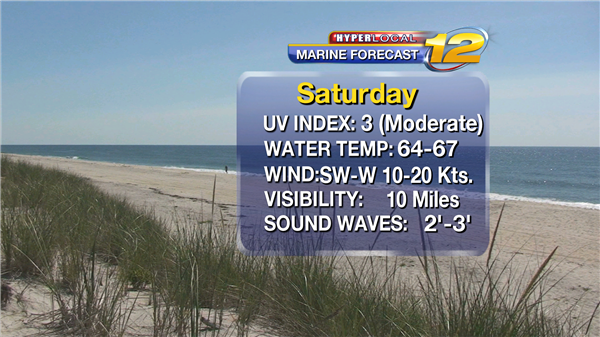 It will be a pleasant day to enjoy at the beach. Here's what one computer model is forecasting for rain across SW CT between Wednesday and Thursday nights. Locally heavy rain and thunderstorms are expected Thursday morning as a cold front approaches the region. 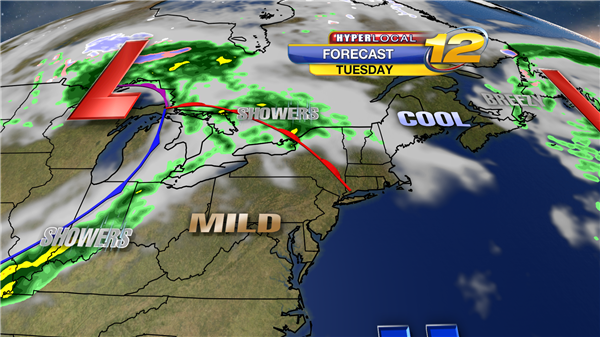 Here is the Thursday morning forecast map. 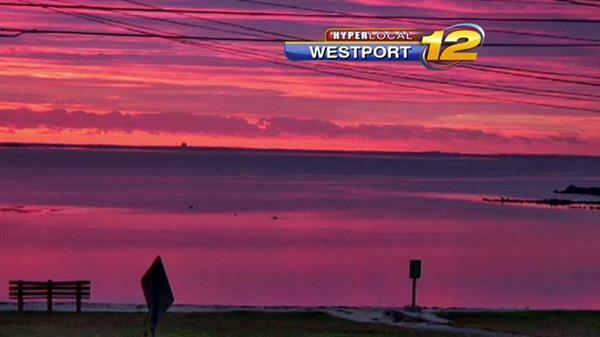 The sky was beautiful this morning at sunrise in Westport. Computer models have been back and forth on when the rain will end for CT. Now it's back to mid-afternoon with gradual clearing during the evening. 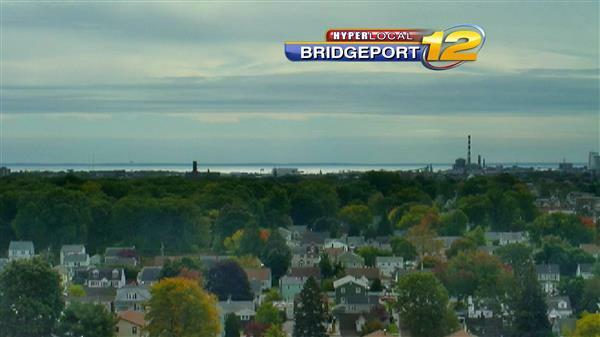 Clouds are building in Bridgeport early this afternoon. 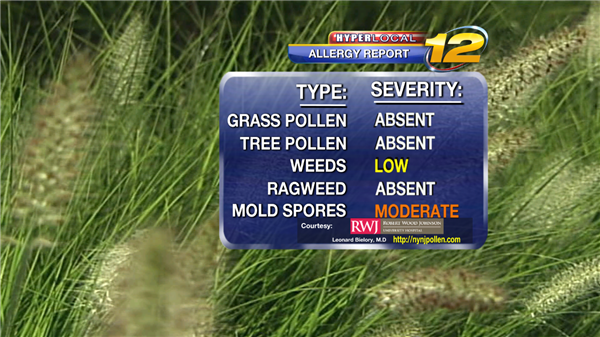 However, it will remain dry this afternoon & this evening. 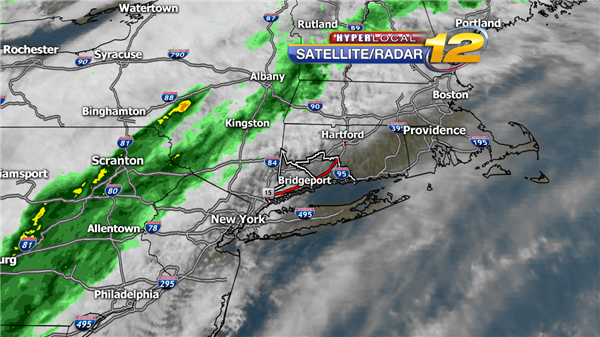 Clouds have rolled in but there's no rain in our area. Showers will become more likely Friday night into Saturday morning as a cold front passes. 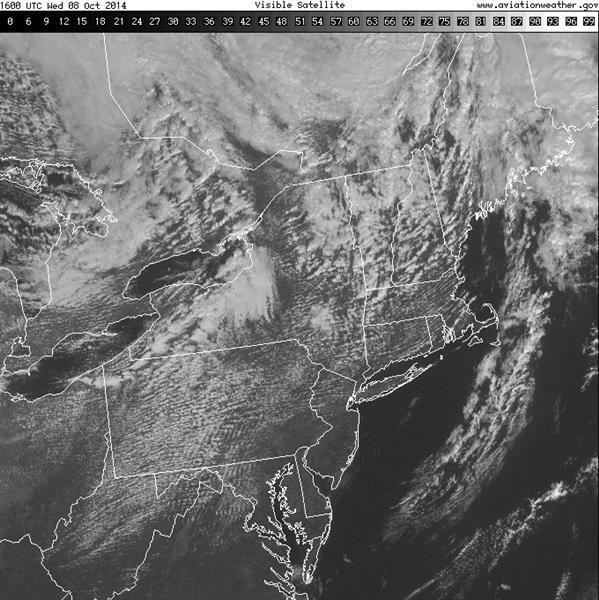 The satellite shows puffy clouds mixing with sunshine across New England early this afternoon. 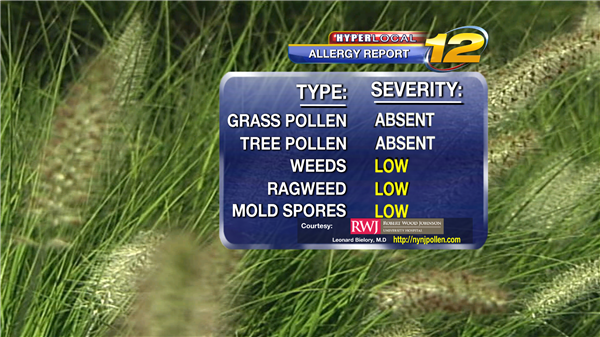 It's still breezy, though, with a temperature close to 70 degrees.